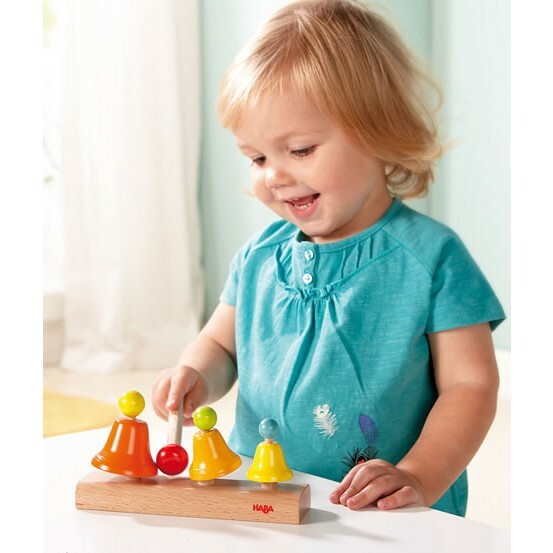 A beautiful chime toy that young children will just love playing. Three bells of different sizes play three different notes. Crisp and clear, the sound gentle and pleasing. 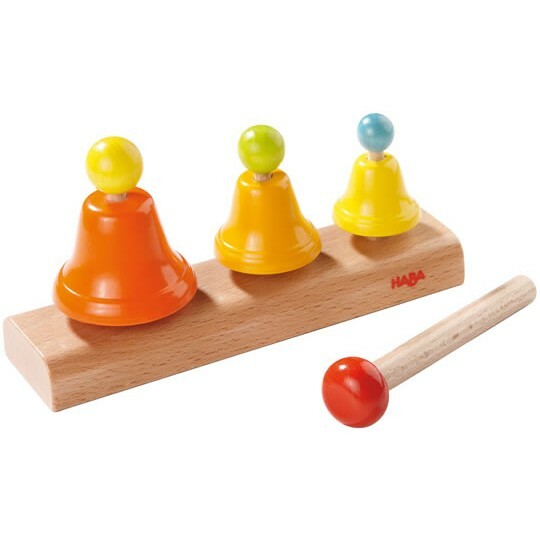 You need to hit the chimes with the right level of force to get a good sound so it's good for teaching children fine motor skills and patience. A fab first playing instrument and a lovely introduciton into the the world of music.